‘Act East Policy’ is an innovation of the NDA II government led by Prime Minister, Narendra Modi. The chosen theme for a MEA sponsored seminar was: Act East Policy of NDA II and Primary Goals: Economic Development, Democracy and National Security. Book is the product based on revised and updated contributions of twenty eminent scholars. 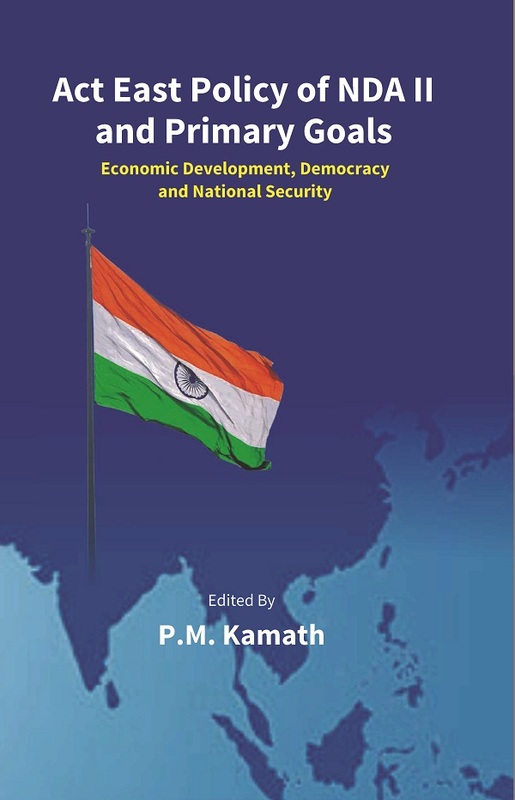 Readers can experience the focused content on economic development, promotion of democracy and shared sense of security of India and the nations of the East and South East Asia. It also brings out the present reality that China being a dominant nation in the region, while promoting multi- polarity globally, within Asia demands status as the numero uno as it aims globally to replace the US as the primary super power; replacing the US as the regionally sole dominant power in Asia. India is seen by the regional nations and the US, as the regional partner in maintaining democratic order, promotion of economic cooperation and geopolitical balance. The book should be immensely useful to policy-makers globally, students of International relations and foreign policy of the region and general public interested in the region's turbulent affairs-domestic as well as foreign. Dr. P.M. Kamath is the Chairman & Hon. Director of VPM's Centre for International Studies (Regd), Mumbai-affiliated to Mumbai University. He retired as Professor of Politics from Bombay University after 25 years of distinguished service. He has authored or edited 22 books and published over a hundred research papers in National and International journals. Dr. Kamath is an authority on National Security, security policy-making in the US and India and International Politics. He was recipient of many research fellowships in India and abroad. He was awarded Fulbright fellowship twice; first time to work in the School of Advanced International Studies, Johns Hopkins University, Washington, DC and second time in the national Security Studies Program, Georgetown University, Washington, D.C. Currently he is also the Managing Trustee of Indian Association of American Studies.